Got each dog a horse bone yesterday, from a horse butcher! One can do fitness training with them - that's how heavy they are! I had never bought this before and the dogs were so excited! 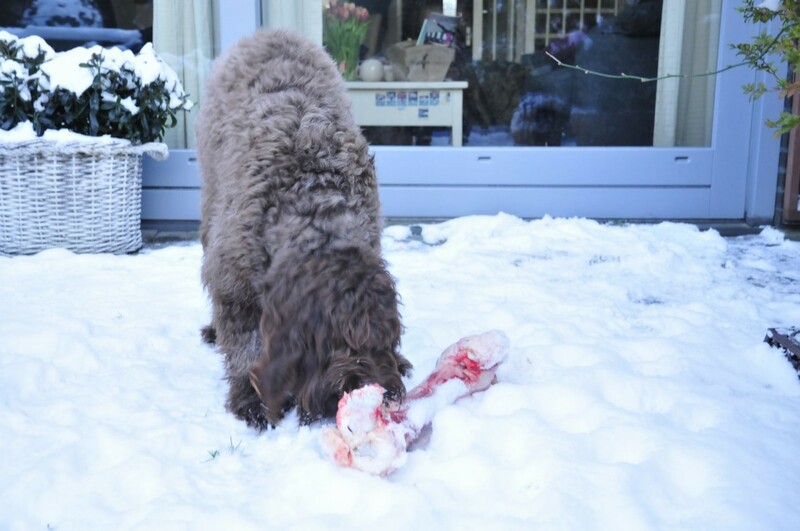 Since it is freezing here now, it was perfect timing for such bones. 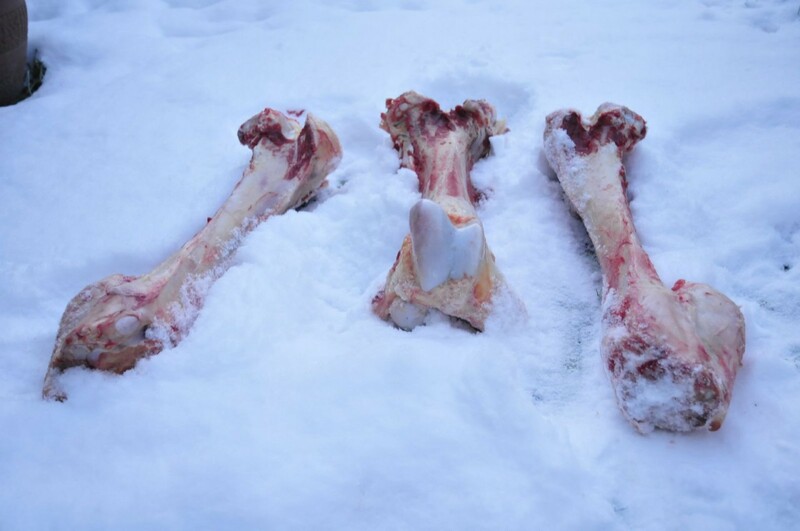 The dogs can chew on them in the garden for many days and they bones just stay outside. 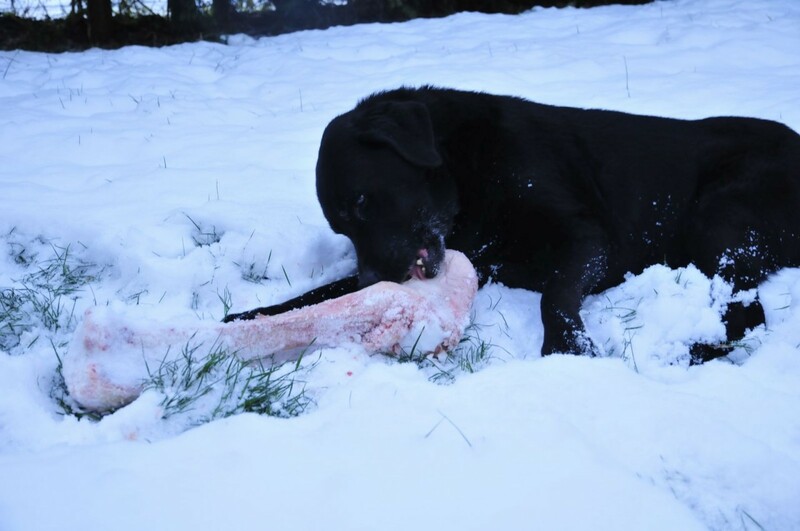 Even though it may appear offending to some, it is very good for dogs' teeth to chew on bones now and then. And horse meat is very clean. What a dog party! dat is een groot bot! !